Why do your nagging 5k/1.45 deals take three days to fund, but your 100k/1.20 file funded in a day and a half? For many brokers, this is a point of contention and annoyance. High-risk deals seem like headaches for little payoff, but writing off an entire paper class only leaves potential commissions on the table. Indeed, high-risk deals are the bread and butter of industry giants like Yellowstone Capital. Keeping a few simple points in mind will sooth your frustration and increase your capacity for patience with high-risk deals. 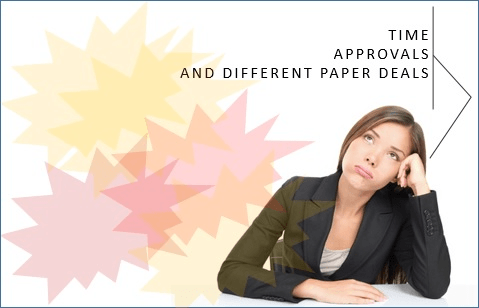 There are very few A-paper deals and a seemingly endless supply of less-than-perfect deals. Therefore, many A-paper lenders see far less volume than high-risk funders This allows them to issue quick approvals and provide faster feedback. There is also a distinction between the business processes of fintech companies like CAN Capital and publically traded OnDeck that offer loan products versus merchant cash advance companies that still use fax machines and process paper submissions. The submission process is highly refined and automated for technologically-advanced industry giants. Many funders in the space don’t have access to the same resources that these companies do, hence the fundamental differences in their inner workings and operations. High-risk deals also warrant more stringent underwriting . Typically, underwriters have more questions and request additional documents in order to make sense of messy files. Going out on a limb and funding a deal that top lenders aren’t tripping over necessitates proper due diligence, as well as time and careful attention to detail.